Janice Goudie starts as host of Labrador Morning later this month. Janice Goudie, a journalist whose exploits have taken her across the country — and who even inspired a character in a hit Broadway musical — is taking on a new challenge: hosting CBC Radio's Labrador Morning. "I'm so excited," said Goudie, who will debut on Labrador's flagship radio program on Oct. 22. Goudie, whose two-decade career in journalism and writing has included stints with CBC Radio in Grand Falls-Windsor, Gander and Yellowknife, has been living in Happy Valley-Goose Bay for the last four years. 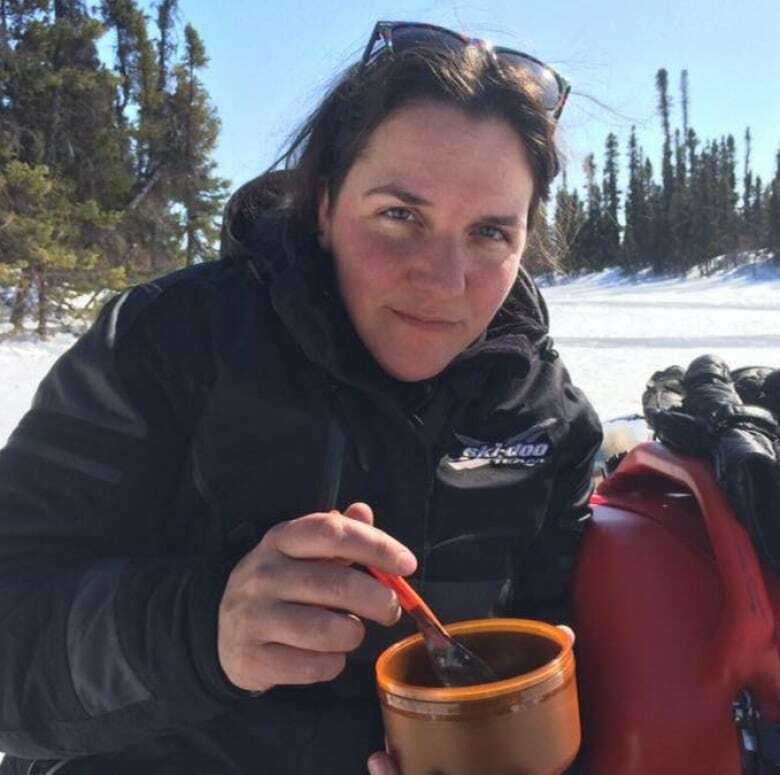 She said she is thrilled to be able to work on a show entirely dedicated to Labrador, an area that has been close to her heart since her husband first brought her there 17 years ago. "I see the host as someone who can bring [the audience] together, so they can learn things about Labrador they may not learn elsewhere." Goudie has travelled across the Big Land, from the Torngat Mountains in the north to coastal communities in the south to the mining towns of Labrador West. She didn't blink when asked to pick a favourite. "It would have to be the Torngats," she said, adding how she felt swept away by the magnitude and grandeur of the setting. "To be there, you can feel the spirit of the place." 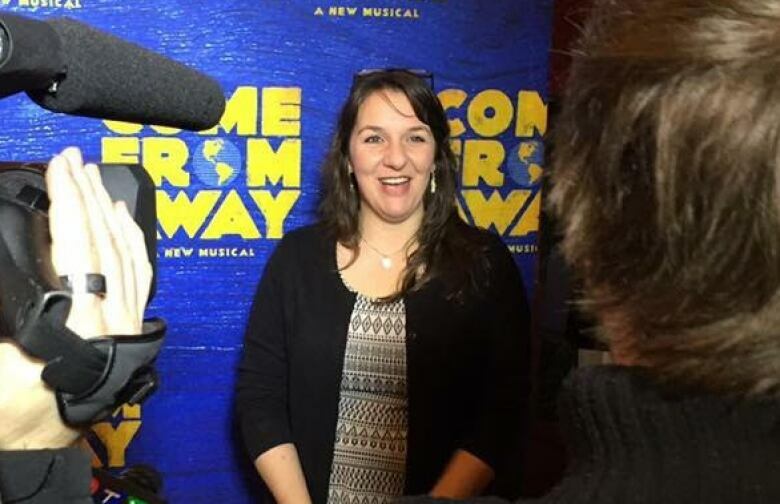 Goudie has the distinction of being the inspiration — with Gander journalist Brian Mosher, a regular contributor to CBC Radio's Central Morning Show — for one of the main characters in Come From Away. Goudie had just started as a rookie reporter with the Gander Beacon newspaper when the attacks of Sept. 11, 2001, played out in the U.S., forcing several dozen transatlantic jumbo jets to land around her. She recalls being bemused when she first met Irene Sankoff and David Hein, the husband-and-wife couple who attended a reunion of "plane people" in Gander, and who interviewed her while explaining their plan to write a musical. "We all thought it was a little absurd," said Goudie, adding that like everyone else, she was game to help. She watched the musical take shape and eventually find its way to Broadway. She even found herself on the other side of the microphone when she attended the debut last year. "I am so proud," she said. Meanwhile, Goudie is not the only new member of the Labrador Morning team. Rebecca Martel, who has worked across Canada in radio and television as a reporter and anchor, has been hired as the show's new producer. "She hopes to be able to contribute and add to a show that has such a strong connection with its audience," CBC said in a statement. As well, Alyson Samson, who has worked for CBC in St. John's since 2014, will be moving to Happy Valley-Goose Bay to report for Labrador Morning. Goudie and Martel are stepping into roles left vacant by Matt McCann and Bailey White, who have each taken on new roles with CBC in St. John's. McCann is the CBC's new morning producer, while White will be heard reading newscasts on weekends, as well as reporting for CBC's broadcast and digital platforms.